* One moment of Simultaneous Time. * Gain new insights and understanding of TRUE Time. I was struggling with the idea of simultaneous time, and The Collective gave me such a satisfying, clear answer that I will be thinking of my life in terms of before the Time call, and after the Time call, from now on! I really "get" now, how we have created time and "stretched it out" so we can have these lives and experiences in this "place." I now know that it is within my power to stop aging:-) and I am in the process of applying this new understanding to all of the other aspects of my life. experience all moments in time as SIMULTANEOUS! You will experience going 'Beyond Linear Time! It is a Fifth Dimensional Experience. "I experienced the Light Energy Body, the ethereal body state and could really sense the presence of all the moments in that position." "I experienced moments of not hearing you, I was slipping into another time. It was full of light, I was not thinking anymore." "...my mind literally stopped and at the same time was very alert and aware. A very enjoyable experience of being present." once you experience all Time as Right Now? One of The Most Amazing Experiences in My Lifetime! Time Alchemy has provided me with one of the most amazing experience I have had in my life time. I had been listening to Amy's CD and had an insight into time and experienced it in my body and mind. Since I listened to Amy's Time Alchemy, I am more and more into the flow. I feel present in the NOW, and can act without baggage from past nor worry of the future. I am in the NOW and feel zen and act. I can be present to my girlfriend, and my business partners and flowing with the conversations, instead of being in the head space, I am out there and interact. I highly recommend the product, and would like to thank Amy a lot, for helping me take my life to another level, once again. Thanks Amy, keep up the good stuff! Beyond Time as you know it to be? 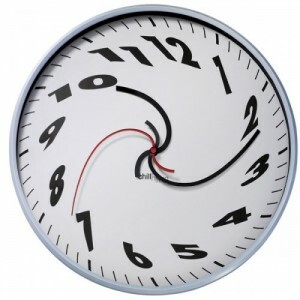 The Linear Time Delusion Busted! I really got that this linear time delusion has really negatively entranced most of the people on the planet. I really noticed how people don't seem to like where they are, especially at work. And many of us spend so much time at work, and are constantly watching the clock, waiting to go home. I want to open my eyes and experience the full dimensions that exist in every present moment. Those will break the addiction to linear time. I also get that the false beliefs about money, aging and time are all linked up, perhaps all having their root in the time stinking thinking. I asked my husband if he minded if I drove the Nissan to work the morning following the call. We haven't had the Nissan in over 12 years, and yet I did not notice my lapse in "time" memory at all. When Tom said: "Kate, we haven't had the Nissan in years," I laughed all day. What is time, but just a huge gigantic warp? Thank you Amy for giving us the opportunity to break out of the linear time trance! It was a tremendous mind expander! An Indescribable Experience of No-Time! I found the Time Alchemy Seminar to be truly incredible, though difficult to describe the experience in words as the mind cannot comprehend the experience of no time. It is something that has to be experienced. During the call my vibration began to increase and I was filled with a sense of joy and peace. I also gained a new persceptive of time- past,present & future and my experience of it. During the guided meditation to experience no time, my mind litterally stopped and at the same time was very alert and aware. A very enjoyable experience of being present. Since the call I seem to be a lot more in the moment and feel a greater connection to all that is. The experience was very profound but difficult to put into words. I will be doing the time travel part on a regular basis. One has to experience it to understand. The Collective know the truth of time and are going to elevate your perspective through amazing processes and journeys so that you experience Time as Source does. No More Attention to The Past! I get focused on what I'm missing from my past, or on lack of something that I want, or lack of visible progress <toward my goals. And really Source is doing all of it and I'm just along for the ride - so yes - I can just look out the window at the trees and birds and swimming pools because as long as my thoughts feel good it doesn't matter if it doesn't seem to be getting me anywhere: It is! As long as I stay in alignment and feeling good it doesn't matter what else is happening because I am not contradicting my own creation. The Collective was right on target that I was giving my attention to the past. I even cringed a bit when they said it because I didn't like to hear it and I knew it was right at the same time. Big transformations happening in me right about now and letting go of old stuff that just gets in the way. Thank you for doing the call with us. The Collectives are like master therapists - they go right where the source of the problem lies - it is so obvious to them from the nonphysical. I experienced a much better meditation today (the following morning) because I "allowed" any outside noise to just be. I felt closer to Source energy than I ever have and want to Thank You for clearing that up for me! I very much enjoyed my experience and felt connected to those who were also on the call. What a thrill!" Highly recommended! AS YOU FLY THROUGH TIME! have to pack your bags! Live the Experience of Stepping Out of Linear Time!
. Click Here to see how you can make money sharing the experience of Time Alchemy!